Looks like the Sorting Hat has chosen a house for you. That house is Ravenclaw. There you will be amongst those like you who have an interest in learning, and are also quick witted. As a member of this house you will become wise, and important part of the wizarding community. Once you graduate Hogwarts, you will join the ranks of other great wizards who were once in Ravenclaw house. People such as the wise Garrick Ollivander, and the famous Gilderoy Lockhart. You'll need a robe once you get sorted into your house. 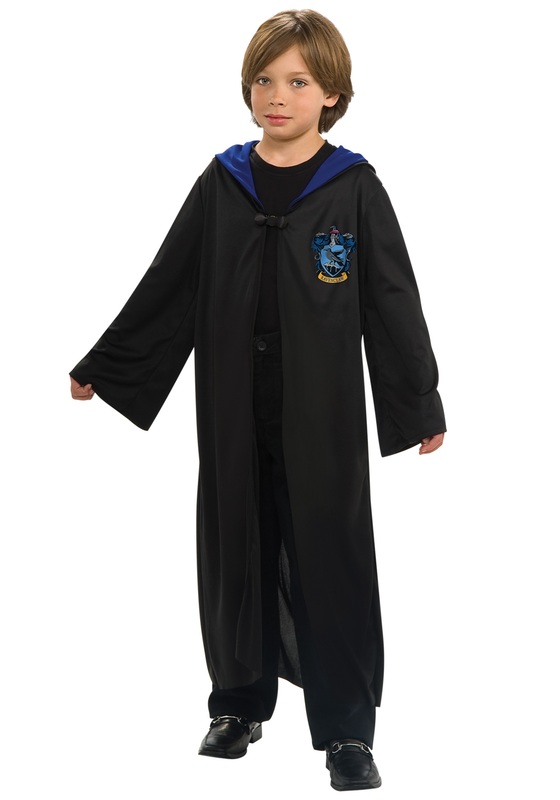 This Child Ravenclaw Robe will help you fit right in. You'll be acing your classes, and making life long friends in no time. Friends like the wacky Luna Lovegood. Don't let her eccentricities freak you out though, she is pretty awesome, and everyone has their oddities about them. We think the sorting hat chose right, and you look great in Ravenclaw blue.